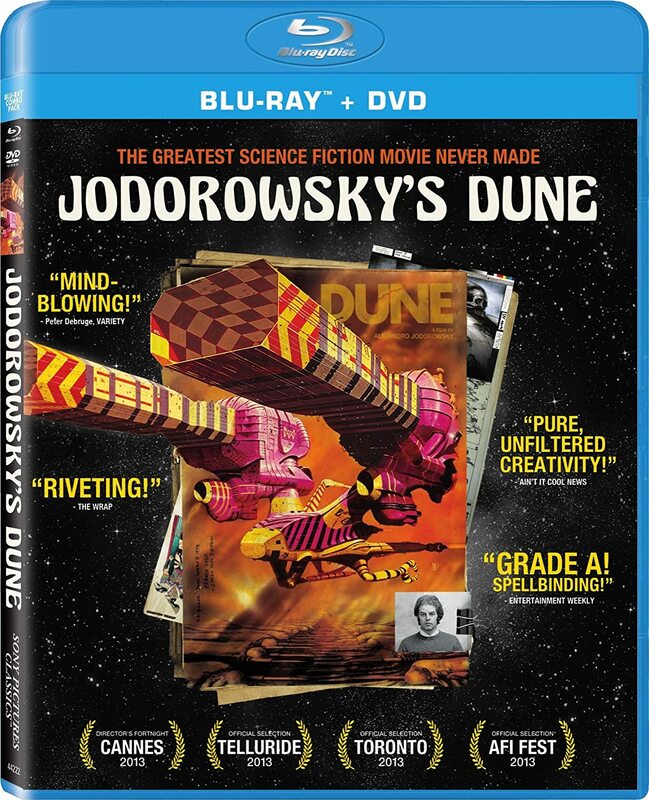 Sony Pictures Classics are set to release the critically acclaimed, Jodorowsky's Dune as a Blu-Ray + DVD Combo pack on July 8th. Telling the story of cult film director Alejandro Jodorowsky's most ambitious, yet ultimately ill-fated project. Jodorowsky granted documentary director Frank Pavich, unprecedented access to his production materials, including his hard-bound book, which has come to be known as the Dune Bible, containing his meticulously detailed story boards. This project has always been of particular interest to me as an admirer of H.R. Giger, Jean 'Moebius' Giraud, Dan O'Bannon and Chris Foss. The collapse of the project meant that all of those talents moved on to what would become a classic of Science Fiction...ALIEN! It also influenced many other films, including Star Wars. It will be interesting to see production drawings and hear from those involved. The links to ALIEN, and even Prometheus, via H.R.Giger's designs will be a particular highlight! I read somewhere that there will be animations of some of Moebius's work included too! "The tale of Jodorowsky and his DUNE is a fascinating trip through creativity and imagination, a story about the relentless pursuit of a dream, and the necessity of art. In pre-production for over two years, the film was to star Jodorowsky's own 12 year old son Brontis alongside Orson Welles, Mick Jagger, David Carradine and even Salvador Dali, set to a musical score by Pink Floyd and art-design by some of the most provocative talents of the era, including H.R. Giger and Jean 'Moebius' Giraud." Below is a Question and Answer session with director Frank Pavich from after the BFI LFF screening of Jodorowsky's Dune at the Vue Cinema in Leicester Square, London on 12th October 2013.